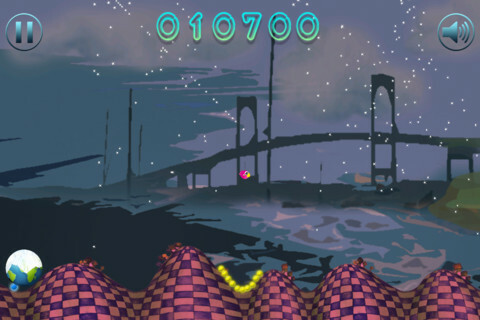 There are all kinds of iPhone games on the App Store that are inspired by real-world physics. Some of them are realistically accurate, while others (usually the most fun titles) play fast and loose with the laws of physics. If you’re into running, gliding, and sliding in a cartoon environment, then check outTiny Birds Run, Ice Age Quest, developed by Pepper. Your goal is simple: help the birds escape the encroaching glaciers of the Ice Age. The graphics are simple, cartoony, and effective. 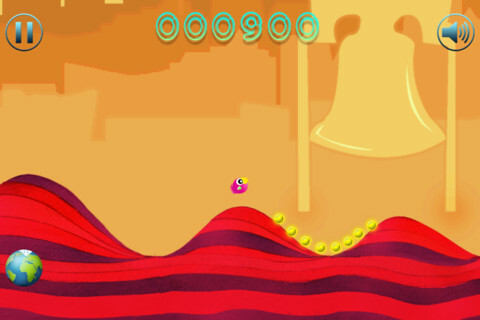 The color palette is really bright and engaging, and that helps to make the game especially appealing for kids. The animations is smooth and our play testing was completely glitch-free, always a plus in a game where precise physics can make or break you. 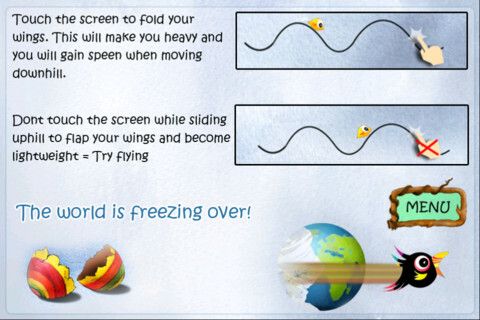 The controls are quite simple: hold a finger down on the screen to fold your wings to the side (this builds your momentum.) Release your finger from the screen as your bird climbs the hill, and you’ll start to flap your wings, gain speed, and soar. 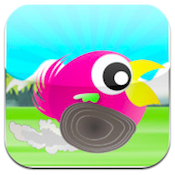 There are nine levels to explore in Tiny Birds Run, Ice Age Quest. But while they are long-lasting, the game still feels a bit on the short side. Hopefully additional levels will be added soon. 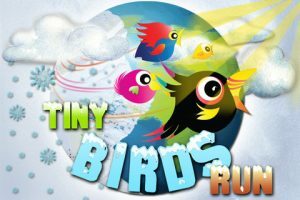 Tiny Birds Run, Ice Age Quest is Kiip enabled! It will allow you to unlock many achievements as you progress in the game and be rewarded with actual, real-life rewards. These will vary from user to user, but may include snack vouchers or coupons for your favorite shows. If you like challenging, open-ended gameplay, Tiny Birds Run, Ice Age Quest is an iPhone game that really delivers. While it seem a bit light on content, the gameplay itself is very fun. Tiny Birds Run, Ice Age Questis compatible with iPhone, iPod touch, and iPad. Requires iOS 4.0 or later.A small expedite fee was paid by the developer to speed up the publication of this iPhone app review.